The recent high-profile sales of certain estates, including Shakenhurst in Worcestershire, and the coming to market of others this summer have turned the spotlight onto buying and running country estates. 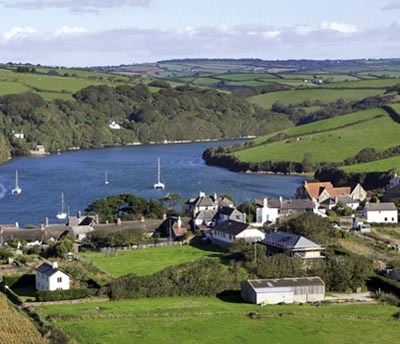 Despite the enormous figures quoted (Shakenhurst sold for £16 million), buyers aren’t shying away, as was demonstrated when Bantham in Devon, which has 21 houses, a harbour and an 18-hole golf course, was launched for £11.5 million last month (Country Life, May 28). The estate has already attracted ‘more than 300 enquiries from potential buyers’, according to selling agent James Baker of Strutt & Parker. This highlights a dilemma for estate owners-will added commercialism necessarily add to the value or can it sometimes decrease it by diminishing the environment? But Katherine Haslam of solicitors Adams & Remers, in East Sussex, points out that there are often ‘easy wins’ to unlock income that don’t have to involve much investment of time or money and which need not change the estate’s character. These include ‘empty buildings or unused land that can be let with little work required to make them tenantable, chasing any rent arrears or applying for grants such as woodland grant schemes, National Lottery grants or “Green Deal” schemes’. Mrs Haslam also advises owners to ‘think outside the box’ and consider options such as leases of shooting rights, letting artists display their works in unused spaces, hosting events such as camping and festivals and pursuing permitted development rights, which may allow you to try various uses on different parts of the estate without having to obtain planning permission. kets for produce’. He adds that ‘almost all estates have elements that aren’t as useful as they could be or have been made redundant by changing practices’. Mrs Graham advises that ‘big decisions should involve the whole family, in particular, the future heir. The younger generation is often more commercially savvy, pushing advisers harder’. A lawyer herself, she’s happy to point out that ‘lawyers often play the lead role in reviews by ensuring advice from other advisers dovetails with strategy. Lawyers can help with succession planning, asset protection and any trustee aspects. Land agents have a central role to play in providing advice on properties, such as whether it’s worth renovating a dilapidated building to rent’. Mrs Graham suggests asking an accountant to ‘review whether elements of the resulting strategy can be managed by a company, thus moving any risk to a trading entity and not the family’. Accountants can also advise on the tax implications of decisions. ‘Companies, partnerships, trusts or gifts to younger generations of the family may be more appropriate and tax-efficient,’ points out Mrs Haslam. Before spending any money, Mr Field believes ‘any estate owner should consider and take advice on the implications for Income Tax, Corporation Tax, Capital Gains Tax and Inheritance Tax’.